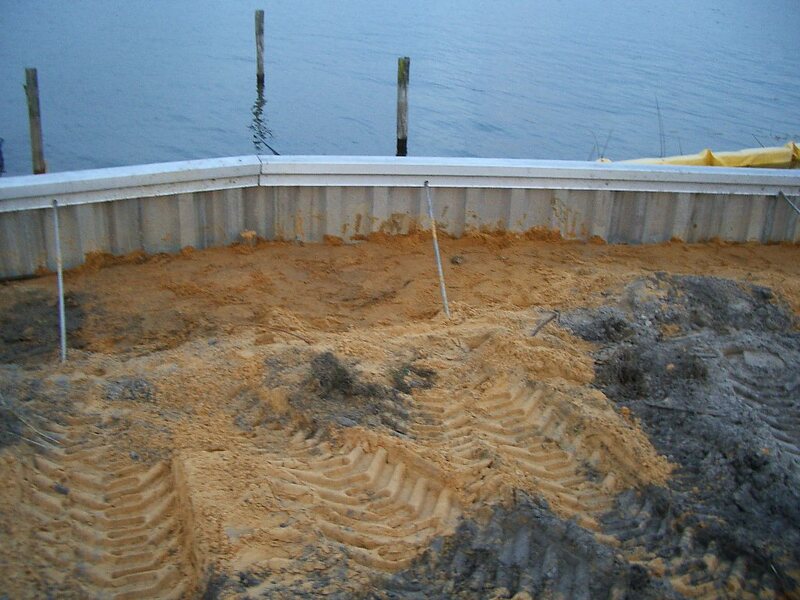 One of the first seawalls that Fender Marine Construction was hired to design and build back in 2002. 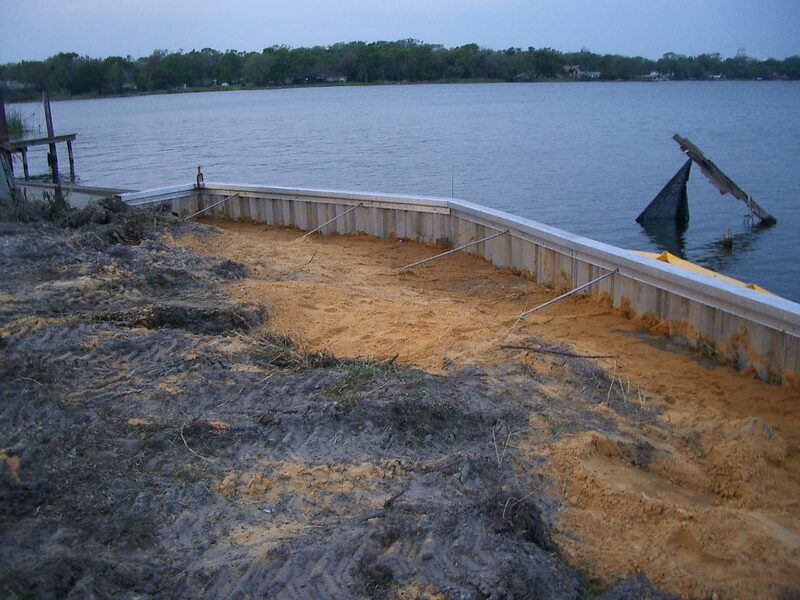 Mrs. Smelser’s family had dumped all types of debris on their lakefront as a revetment to stop shoreline erosion. We found car hoods, concrete rubble, tires, tree stumps that did not grow there and many other things. In order to build a quality seawall and assure that no depressions would develop on the landward side of the seawall, we pulled out all the debris and disposed of it legally offsite. This wall is in Orange County on Lake Holden and is comprised of all aluminum. Aluminum seawall panels, aluminum seawall cap, aluminum seawall tiebacks and aluminum seawall deadmen. Today, the seawall is still serving its purpose of stopping the erosion of the customer’s property and looks like new. 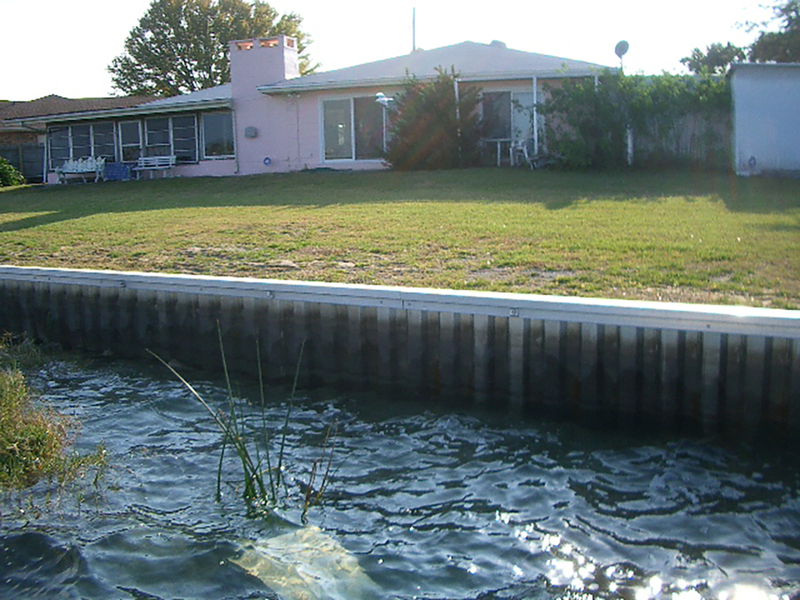 Quality seawalls are worth the investment.